The first eight of the 10 chapters of Sourcebook present a comprehensive treatment of topics typically covered in general biology courses. 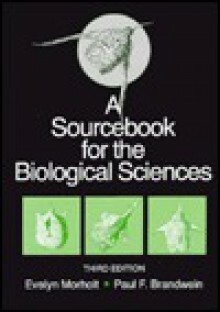 Beginning with "The Structure and Physiology of Representative Animals and Plants," subsequent chapters include "Cells and Tissues," "Energy Utilization," "Building of the Organism," "Behavior and Coordination," "Development, Differentiation and Growth," and "Inheritance, Adaptation, and Evolution within Ecosystems," and conclude with "The Biosphere." The Sourcebook is not designed to be a student manual - it is written specifically for the class instructor and/or laboratory preparation staff. Each chapter provides a framework for planning lessons that sequentially build upon each other and includes the scientific background for each experiment, along with the pertinent preparation instructions. A genuine virtue of Sourcebook is that it presents multiple experiments for the same concept, thus allowing the instructor to choose the experiments best suited to the class goals and available materials. Each chapter concludes with a useful selection of brief "Capsule Lessons" suggested as ways to "get started" on a topic but also useful as assessments.